Understanding and embracing how you most naturally connect with God, is essential for growing your passion, helping you to be renewed, and growing your confidence to face the challenges of life. The Spiritual Style Test will help you take that step. 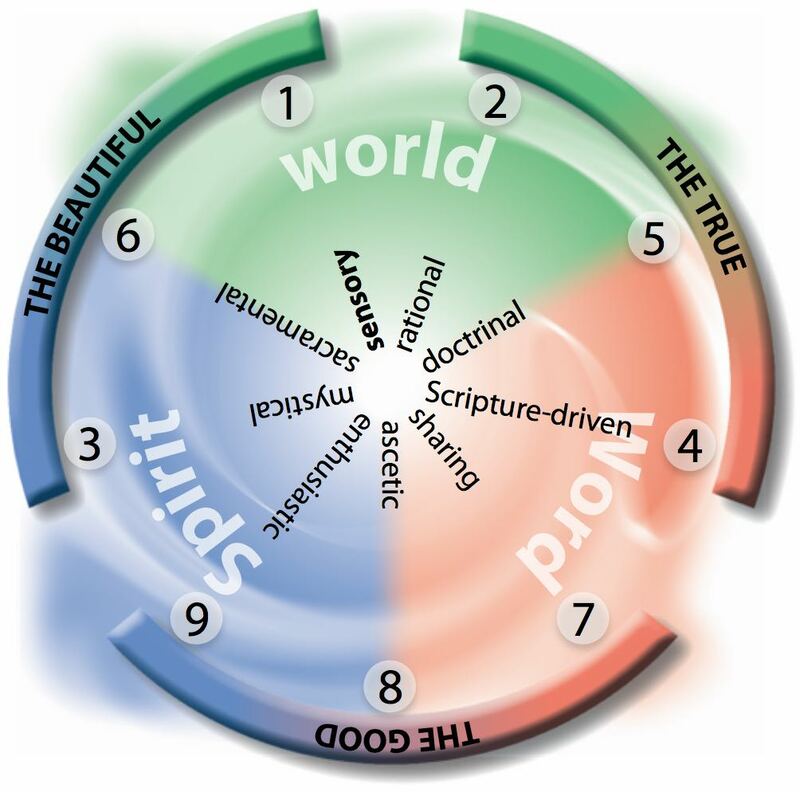 ...reveal, out of nine unique spiritual styles, which one is your native style (e.g. 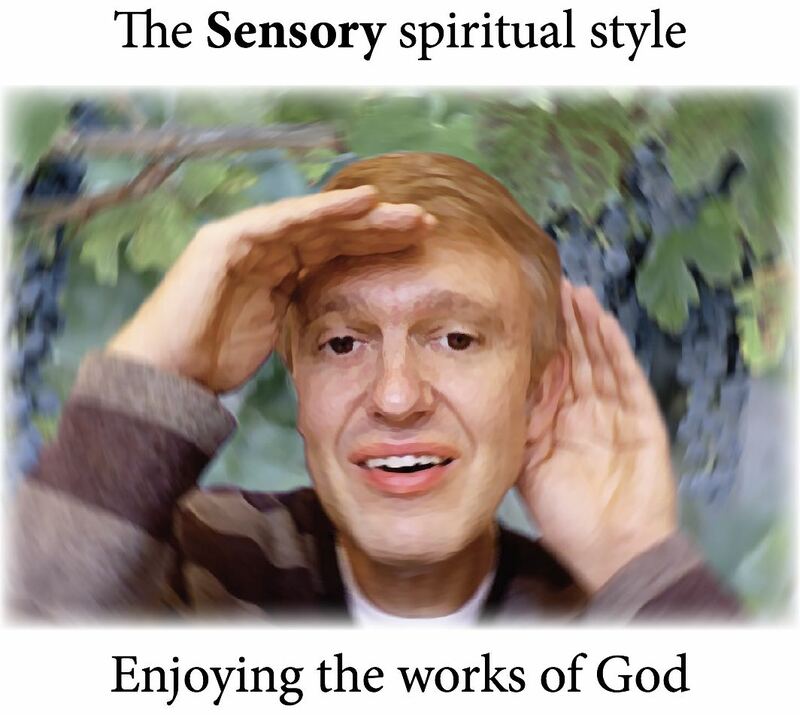 the Sensory spiritual style). Your native spiritual style is your primary antenna to God and his Kingdom. ...show you through which spiritual styles you are more (and less) receptive to the presence of God, and in so doing, will point you to which of the deep human desires — the True, the Good, or the Beautiful — most inspire you in daily life. ...help you to see what will be necessary for you to experience God more fully, no matter where you go or what circumstances you find yourself in. Your Spiritual Growth Tracker will indicate your current starting point (orange marker). 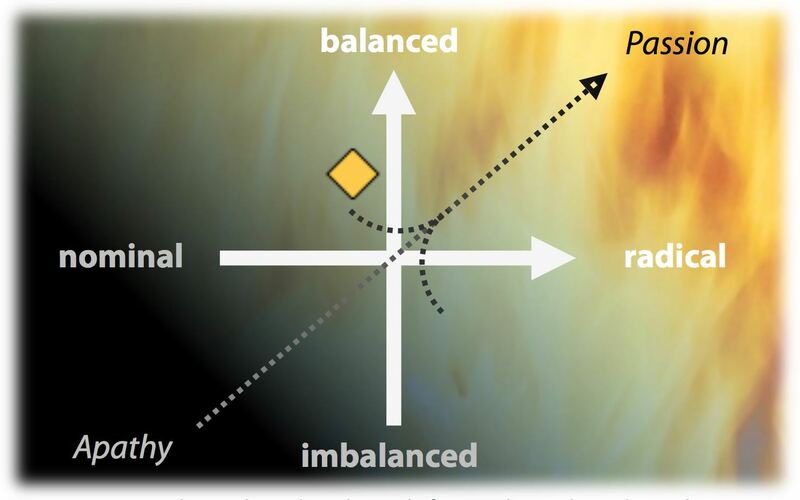 It will then highlight whether your next steps toward increasing spiritual passion will need to involve becoming more radical in your spirituality (horizontal arrow) or more balanced in your spirituality (vertical arrow). 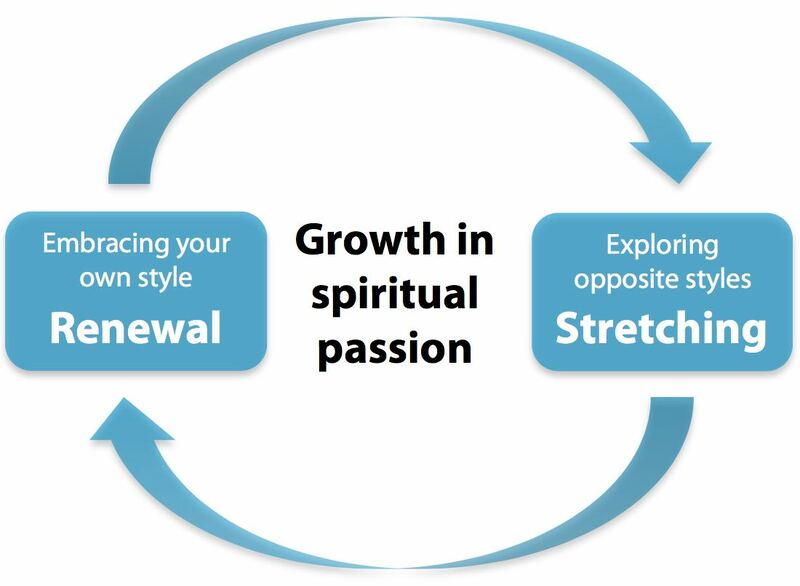 ...point you toward practical steps you can take to make progress in the two essential parts of ongoing spiritual growth, renewal and stretching. 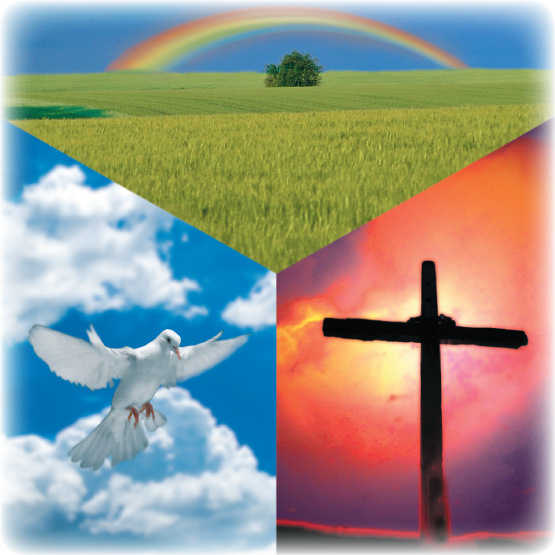 Taking the Spiritual Style Test involves completing a short questionnaire and clicking calculate. A few moments later you'll have your result. Here are the step-by-step instructions for empowering a whole group of people to take the Spiritual Style Test, including getting a bigger picture of their collective spiritual styles with the help of a group profile.